If the depths off the Island of Elba left you in awe, what you discover off Pianosa will leave you besotted! This island, with its near pristine marine ecosystem, was banned to navigation and diving for more than two decades. 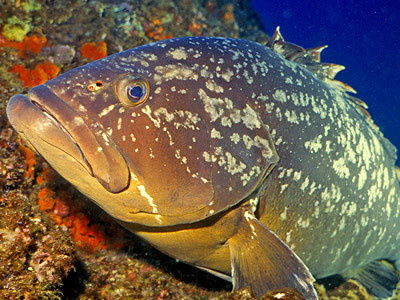 When the island’s prison was closed down, a marine reserve was created along with 4 dive sites, which can only be visited by Tuscan Archipelago National Park accredited diving centers. Given the length of the ban on access, the seabed around the island has remained almost completely untouched for over a quarter of a century. This is why this fascinating ecosystem, with its wealth of colour and aquatic life, can now be admired. In order to protect this underwater ecosystem spectacle, simple but effective regulations have been drawn up to limit excursions within the marine reserve, thus making it a privilege to dive off Pianosa. Diving Pianosa? With us you can! Dives in the Pianosa marine reserve are only allowed over three weekdays and at specific times of the day. Each boat may accommodate no more than 12 divers per excursion. Book your next dive off Pianosa now.